This month we celebrate our second birthday as a company and it’s been a blast! In that time, we have visited a dozen countries, attended 30 forensics events, met hundreds of forensic analysts and produced some products we’re really proud of. Crucially, we have also got police services using our products to help detect crime and protect the public. From two founders, we have grown into a team of 8, including highly skilled technical, commercial, ex-law enforcement and ex-military professionals. Delivering cutting edge technology at the forefront of digital forensics makes Cyan Forensics an inspiring and exciting place to work. If you have a passion for developing new technology, please look at our current opportunities and join us on the next stage of our journey. We’re looking forward to another action packed year, as we continue to grow our team, expand our horizons globally and explore how our tools can be used by customers in new markets. 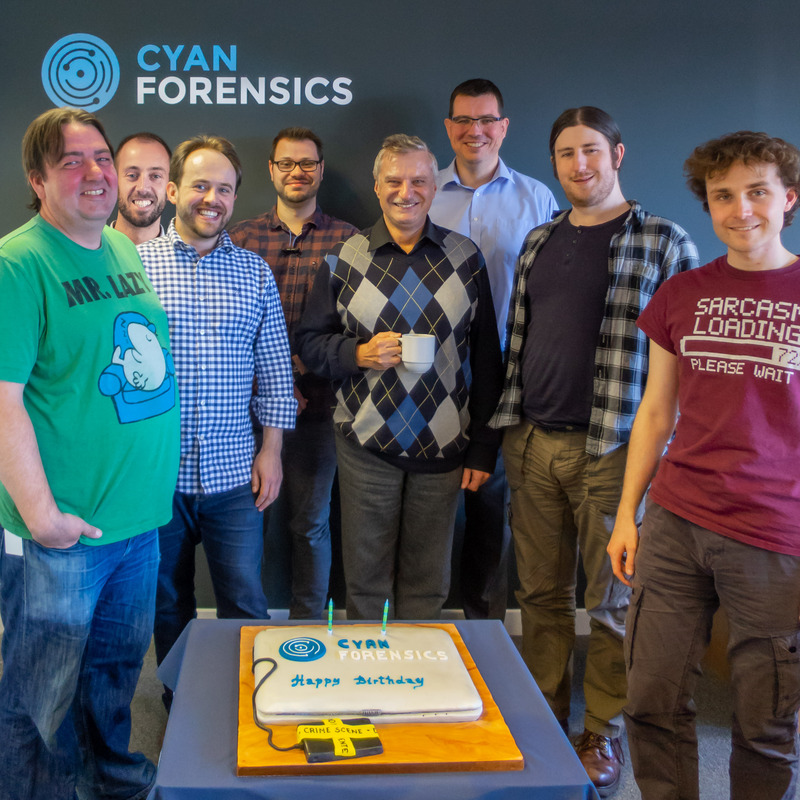 Thank you to our customers and investors for their trust and confidence in Cyan Forensics in the last two years and to Mrs Kuznetsov for the delicious cake. Here’s to a successful year 3!